Have you been to Colpoy's Bay or Wiarton? In 1857 the village of Colpoy's Bay, Ontario (click link to view a map), now part of the Town of South Bruce Peninsula (click to view the official Colpoy's Bay community profile), was permanently settled by my great-great-great grandfather John Wood and his brother-in-law Samuel Atkinson. A man of many talents, John constructed some of the village's oldest and finest buildings and also operated a local grist mill. John's daughter Sarah married Henry Kalbfleisch, my great-great grandfather. In 1920, Henry's son Edwin (my great-grandfather) purchased one of the village's largest houses, originally built in 1884 by John Wood. 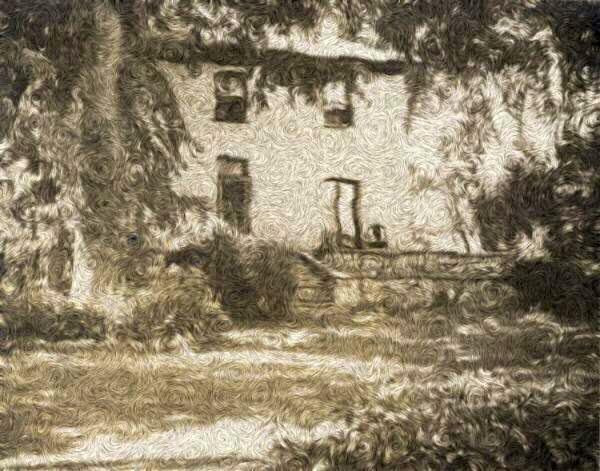 A descendant of the Kalbfleisch family has resided in that house ever since. Although scant physical evidence remains of early life in Colpoy's Bay, vintage postcards and photographs offer a unique visual perspective of the history and development of the village and those people that built it.